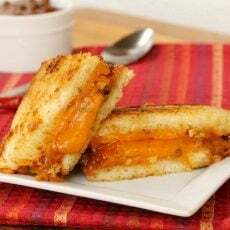 Just the mention of a grilled cheese sandwich reminds me of the ones that my grandmother made me when I was little. And guess what kind of cheese it was made with…..yep…..Velveeta Cheese. Those were the days! 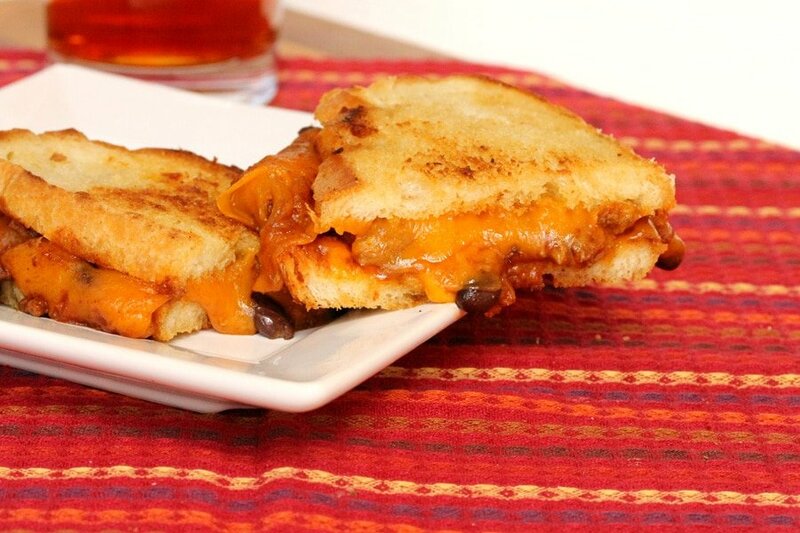 This grilled cheese sandwich is made with cheddar cheese and prepared chili. 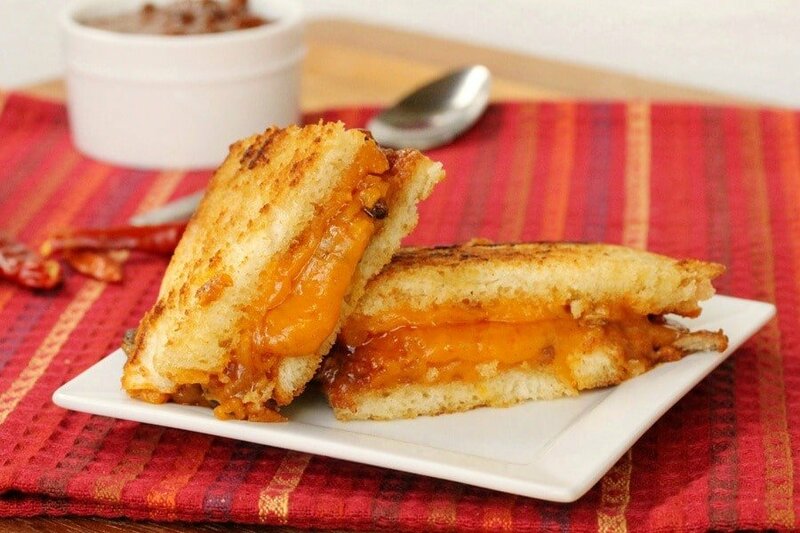 Two things that taste amazing together also tastes amazing in the form of a grilled cheese sandwich. Here’s a spicy homemade chili recipe you may like “Spicy Chipotle and Pasilla Chili Con Carne“. In this recipe there are just 4 ingredients and we’ve already talked about half of them! Warm the prepared chili in a pan or in the microwave and then set aside for just a moment. 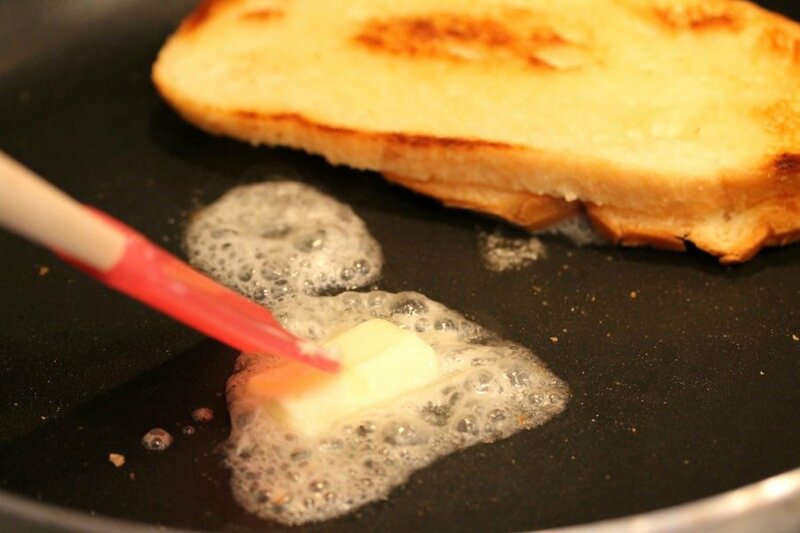 If your skillet is large enough to lay out 4 slices of bread, add half of the butter to the skillet. If your skillet is just large enough for 2 slices of bread at a time, use about a quarter of the butter (a little less than a tablespoon). As soon as the butter melts, lay the pieces of bread over it and move them around a little so they soak up the butter. Let cook until the bottom sides of the bread have a toasty look to them (about 3 or 4 minutes). 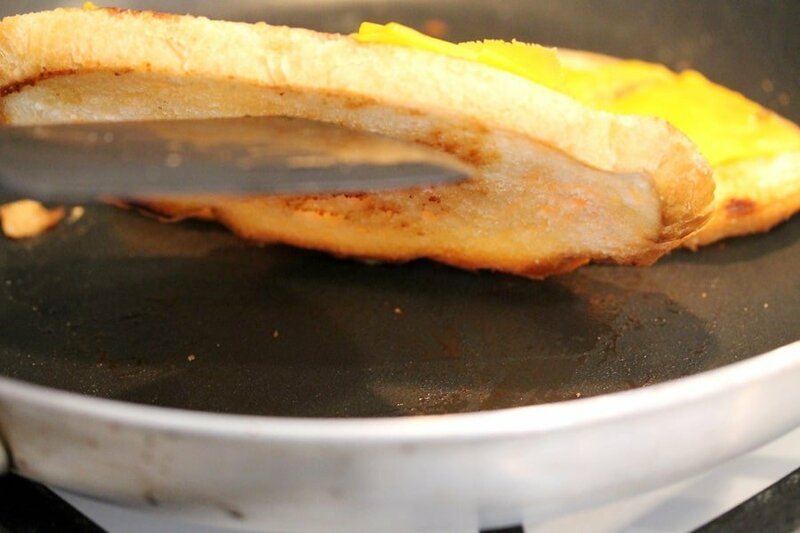 Once the bottom sides of the bread are toasted, turn them over, slide one of the pieces over to the far side of the pan and stack the remaining piece on top of it for just a moment while you add more butter. Add half of the remaining butter to the pan. Put one of the slices of bread over the butter toasted side up. Then stack the other slice of bread on top of the piece that is lying on the melted butter. Add the remaining butter to the pan, and as soon as it melts lay the remaining piece of bread over it toasted side up. Next, add the slices of cheese to the top of each piece of bread. Left up the bread to see how it’s toasting. If it’s getting too dark, turn down the heat just a bit. 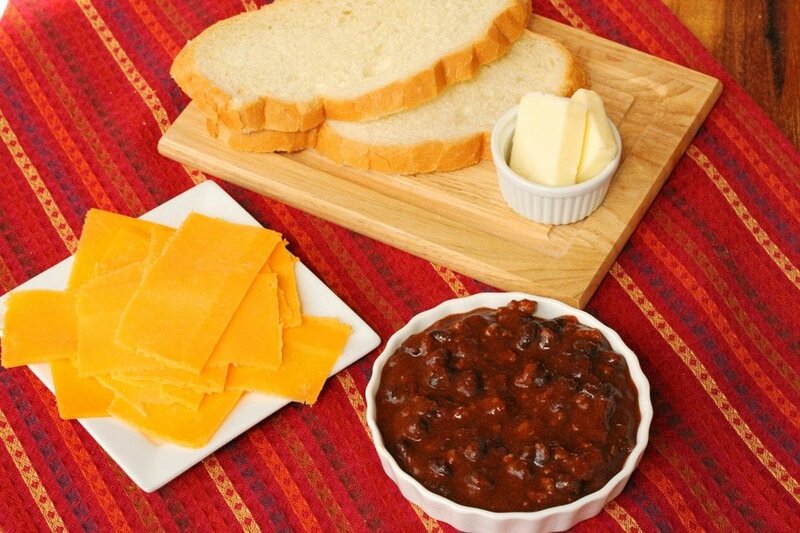 Then add about ½ cup of warm chili over the cheese on one slice of bread (add 1 cup of chili on two slices if you’re cooking all four pieces of bread at the same time). 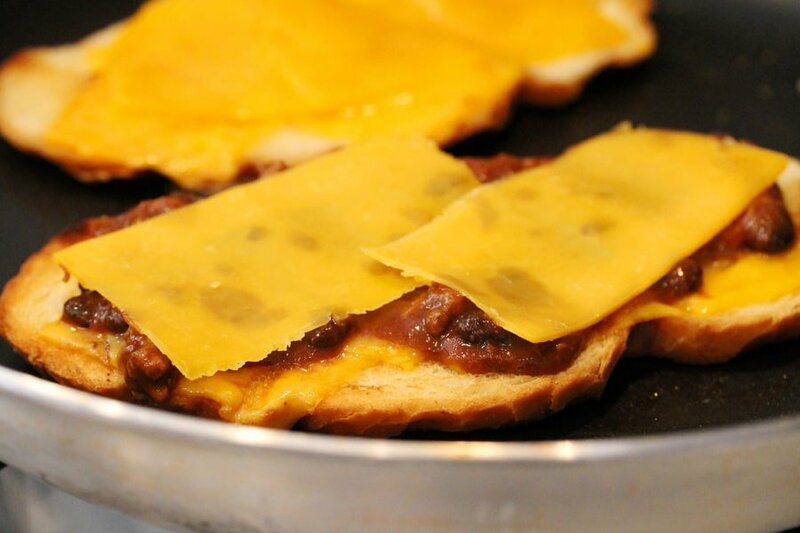 Add a couple more slices of cheese on top of the chili just for good measure. 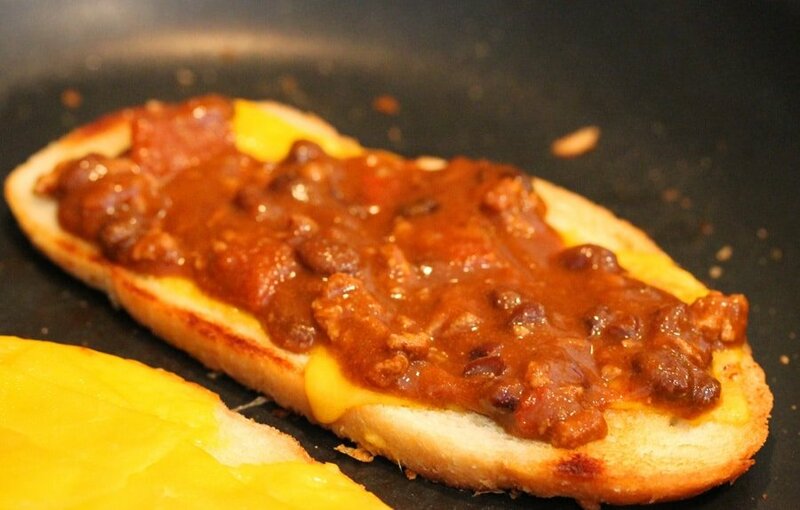 Take another look at the bottom of the bread and if it’s a golden toasted color, turn the piece of bread with just cheese on it over on top of the bread with the chili on it to make a sandwich. 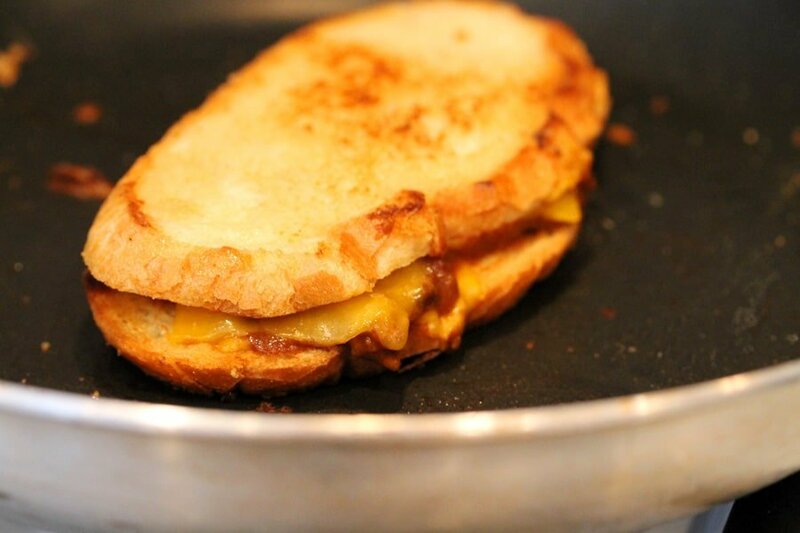 When both sides are toasted, remove the sandwich from the heat on to a plate or cutting board. 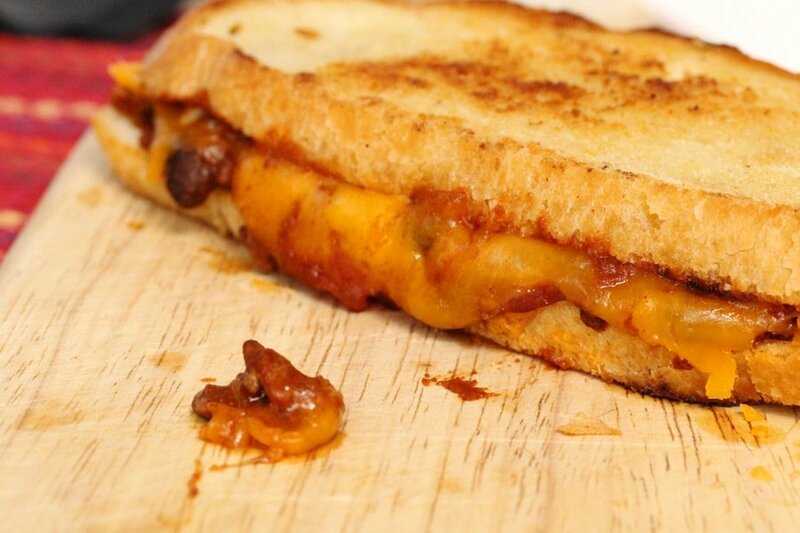 If the cheese isn’t fully melted yet, put the sandwich on a microwavable plate and warm it in the microwave for about 5 seconds or just enough so that the cheese is melted. Cut the sandwich in half…. Simple and delicious comfort food. 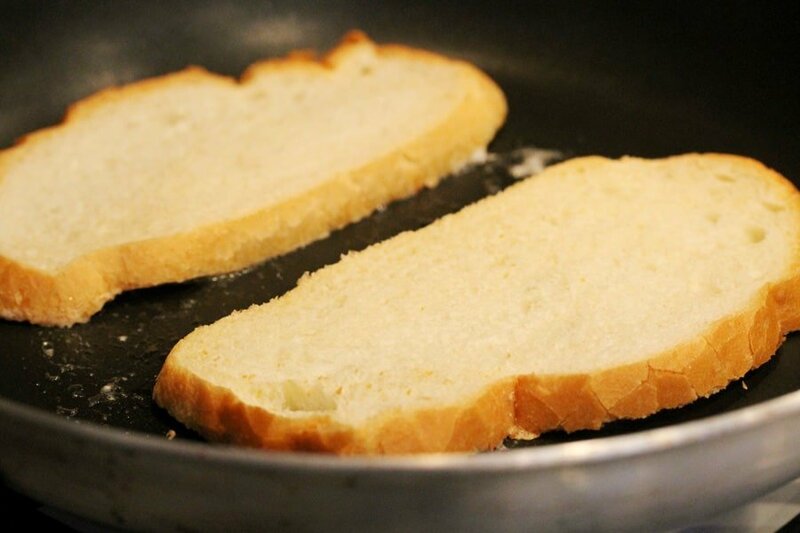 If your skillet is large enough to lay out 4 slices of bread, add half of the butter to the skillet. If your skillet is just large enough for 2 slices of bread at a time, use about a quarter of the butter (a little less than a tablespoon). 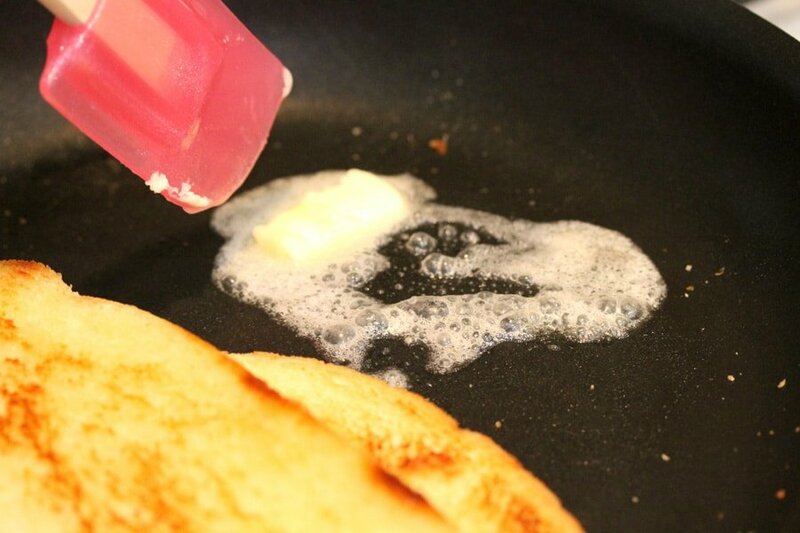 As soon as the butter melts, lay the pieces of bread on it and move them around a little so they soak up the butter. 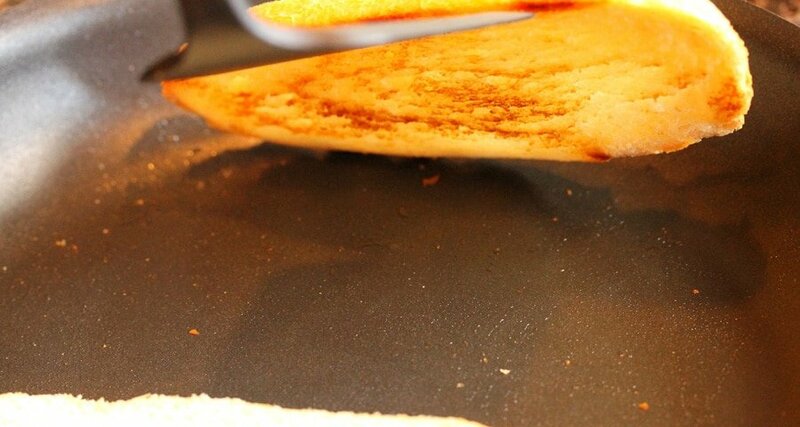 Let cook until the bottom sides of the bread are toasted. 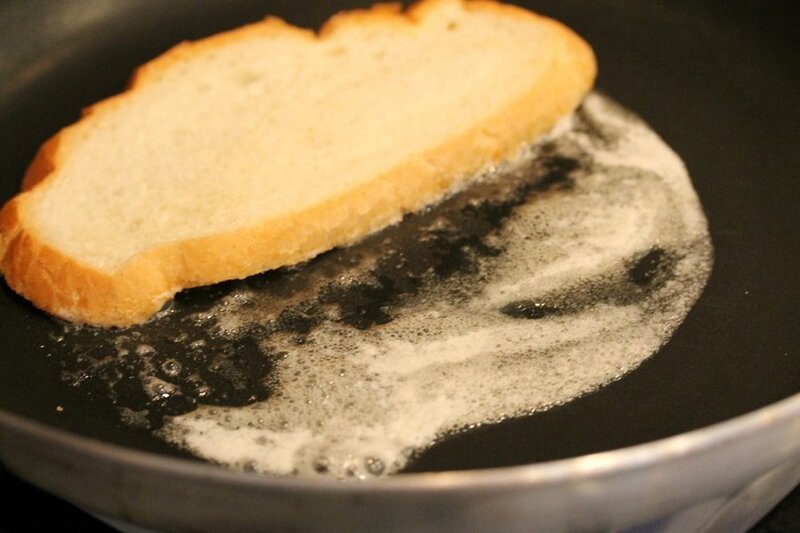 Then transfer the toasted bread from the pan on to a plate for a moment. Add the remaining butter if your skillet is large enough for 4 slices of bread. 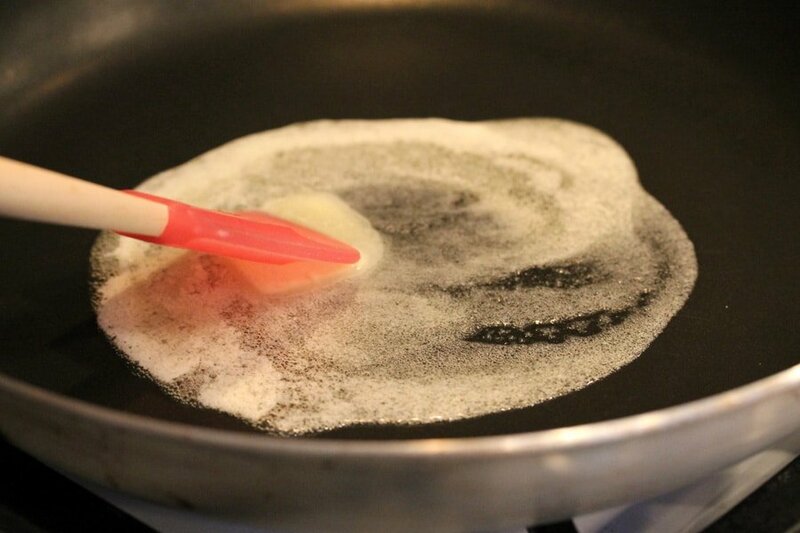 If you're cooking two slices at a time, add about another tablespoon of butter to the pan. 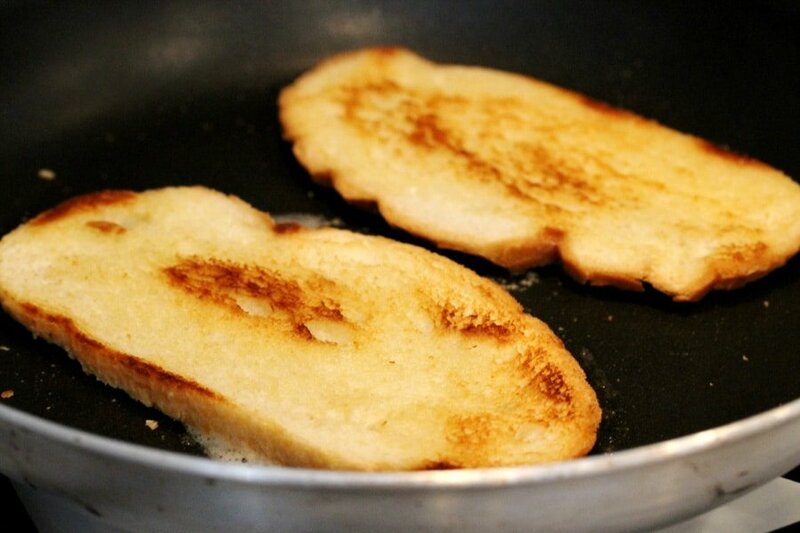 Next, put the slices of bread back into the pan with the toasted sides up. 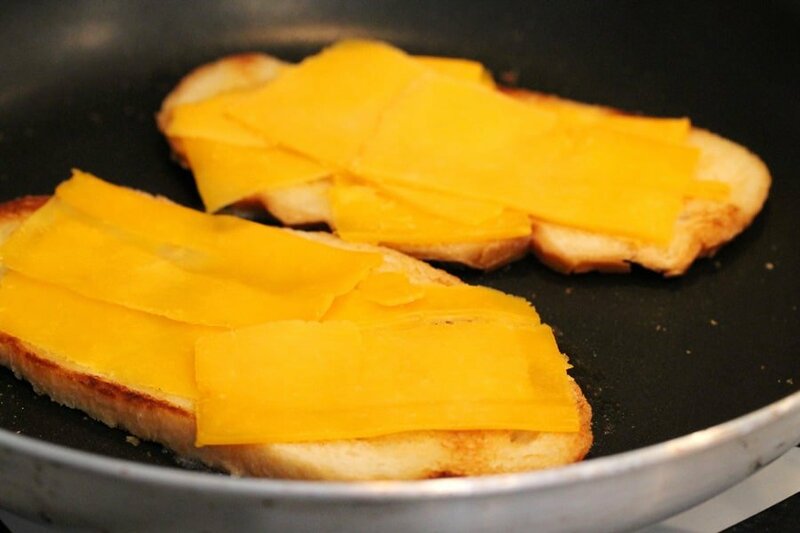 Add the cheese to each toasted side of the bread. 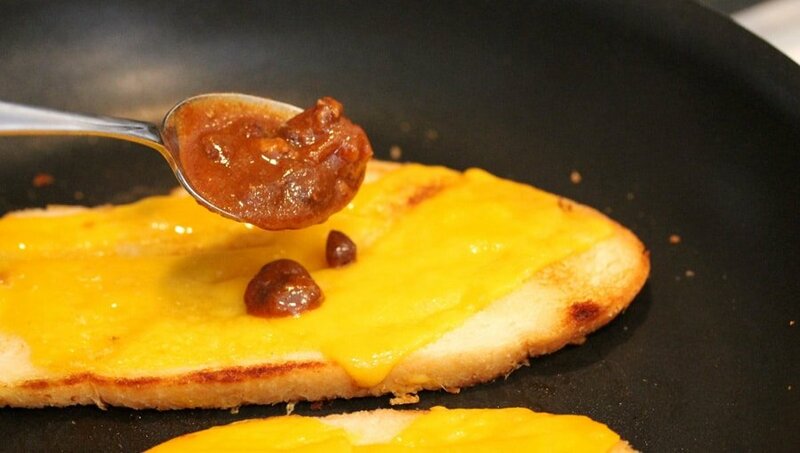 When the bottom sides of the bread are lightly browned, top the cheese on 2 of the 4 slices of bread with 1/2 cup of warm prepared chili per slice. 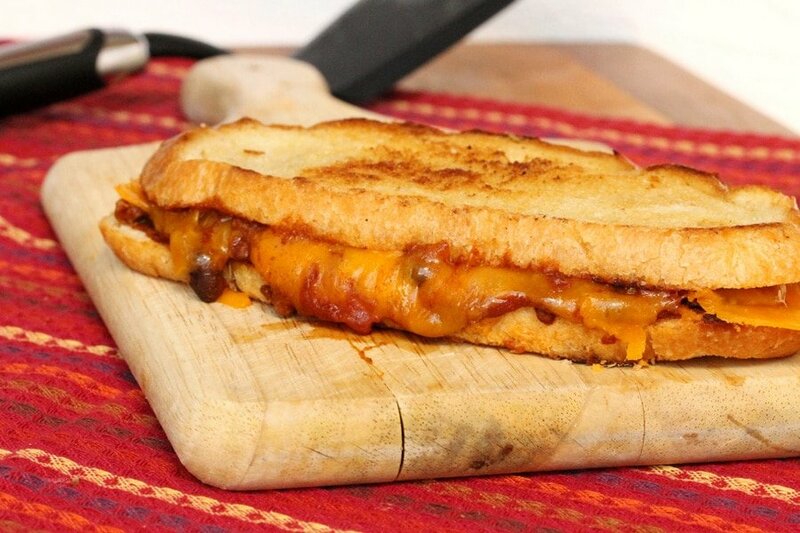 Then make the sandwiches out of the slices of bread and cheese (top the chili with the non-chili slices of toasted bread). Cover the pan with a lid and turn the heat off while the cheese melts. 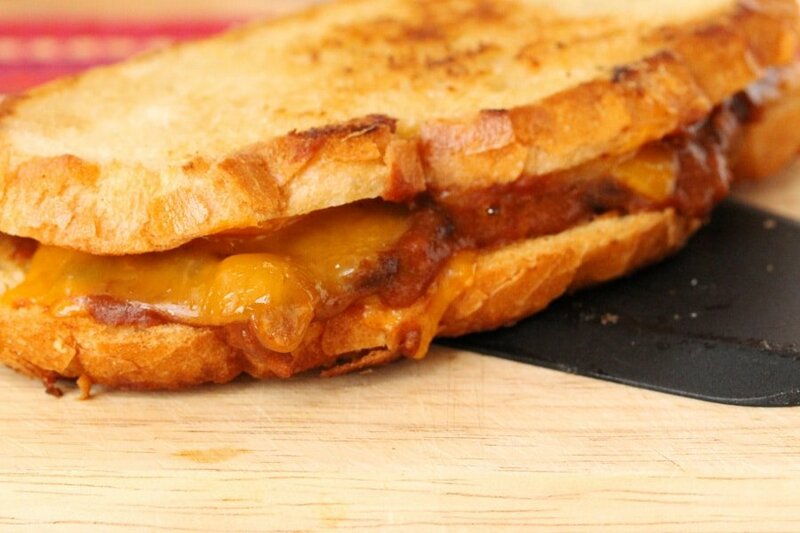 When the cheese is completely melted, cut the sandwich in half and serve right away. I have some leftover veggie chili I made the other day, and I am so making this! Thank you very much and you too!